Did you know that head lice are incredible tiny? Like, 2-4 millimeters small! They can only survive on the human head, where they feast on our blood and reproduce continuously. Once fertilized, the female louse will remain fertile for her entire lifespan, spawning new lice constantly. These bugs are difficult to remove, especially when they are extremely young and at their smallest. A simple comb-through will not work whatsoever, and over the counter chemical-based products are as useless as anything that comes. At Lice Lifters, we have designed methods that are guaranteed to remove lice on the first try. We have a success rate of 99.9% with all patients with our lice treatment in Hurst, TX. You have probably heard about using mayonnaise, margarine, or butter to suffocate head lice completely from your scalp. Unfortunately, these are not actually effective methods to kill off the lice. You may see some success when trying out a method like this, but not all will be removed. Those left behind will continue to reproduce at an extraordinary rate to replenish their lost young. The only surefire method to remove lice once and for all is by using a lice treatment in Hurst, TX, directly in our offices. We have guaranteed products designed to kill lice at all stages. We have priced our services accordingly, but have also guaranteed affordability for families seeking to remove their lice problem. A simple head check will cost $30.00 per person, while an entire treatment will cost $125 per person. Finally, the first application of our wonderful Lice Solution will cost $30.00. This solution has been designed to kill off lice with the aforementioned 99.9% success rate. We recommend purchasing extra bottles to bring some home for further treatments where necessary. Children typically fear any sort of medical office environment. They may attribute treatment with painful shots and nasty medicine. The fear of a doctor or other professionals can stick in their mind for quite some time. Lice treatment should never bring fear, though. The process is so simple, straightforward, and completely safe. Your child may actually enjoy our process as we comb through the hair, searching for any signs of lice. Once we’re done, that pesky itch will be no more, and the discomfort of head lice will be gone. At Lice Lifters Treatment Centers, we aim to create a safe and welcoming environment for everyone, children especially. The thought of anyone living in fear of a visit to our office is simply too much. We have designed our products and treatments from the ground up to be simple and safe. Unlike over-the-counter medications, there are no adverse side effects to deal with! Head lice are considered an infestation due to how easily they can spread. Anyone is susceptible to a head lice infestation. Children, however, are typically at an increased risk for head lice due to their close proximity to each other and lack of situational awareness. Kids have no qualms about sharing their hair products, hats, scarves, or otherwise. These products and items typically make the perfect vehicle for transmission. Lice are easily transferable, which helps them spread so quickly. When your child, who may be a student at the local school, comes down with head lice, they are typically removed from class. This act is not malicious. Instead, it is simply to prevent the fast spread of head lice amongst classmates. Everyone wants a fast treatment solution for head lice. Most will turn to their local drugstore for an over-the-counter product that promises prompt results with just one treatment. Well, unfortunately, those treatment products fail to solve the problem. In fact, most shelf products cause irritation, including rashes, or simply fail to stop the spread of lice. 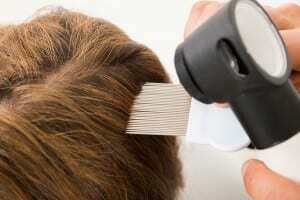 Head Check – We’ll sift through every inch of your scalp in search of head lice, nits, or signs of an infestation. Comb-Out – Once we’ve located any head lice, we’ll begin a meticulous comb-out to remove as many stubborn nits as possible. All-Natural Killing Agent – The Lice Lifters Lice Solution Treatment is a comfortable, safe product designed to kill head lice promptly. That’s it! Once treatment and you’re done! If you have ever had the misfortune of dealing with head lice personally, then you likely know of the itch and discomfort. It’s often too much, especially for children or those who have never dealt with head lice in the past. Everyone wants a permanent solution. Head lice are a temporary problem, though. Still, Lice Lifters Treatment Centers offer a comprehensive treatment solution designed to work wonders. Just one treatment – that’s all it takes! Our treatment process begins with a thorough head check. We then move to a meticulous comb-out, which helps remove as many pesky nits and adult lice as possible. Once that’s complete – usually an hour or so in – then we apply a generous helping of our all-natural killing agent. That’s all there is to it. Once we apply the solution, you’ll be sent back to the comfort of your own home. Just one treatment in our office is all it takes to permanently remove head lice from your scalp. Of course, we recommend avoiding anyone with head lice afterwards, otherwise the infestation may spread once more. 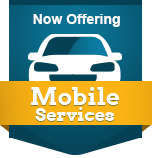 If you are in need of lice treatment in Hurst, TX, or simply want to purchase our Lice Solution for yourself, give us a call or stop in to the office today.